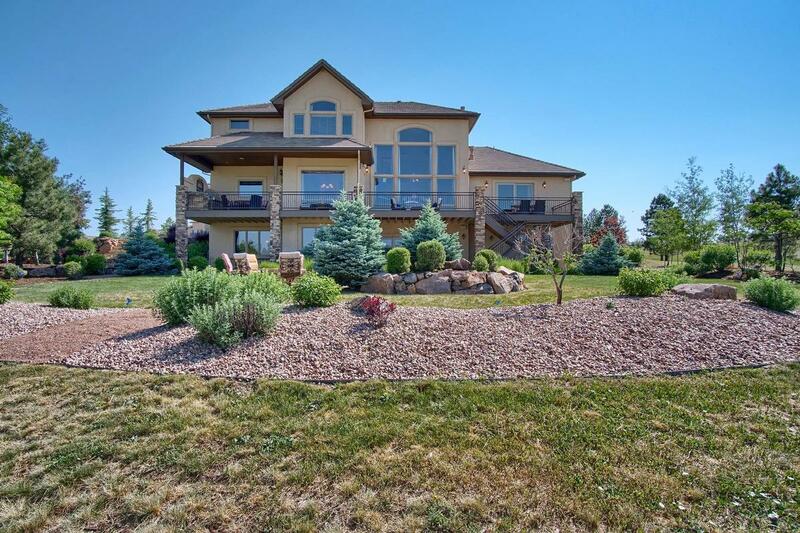 30 Mins from Denver - Dare to compare, huge Value. 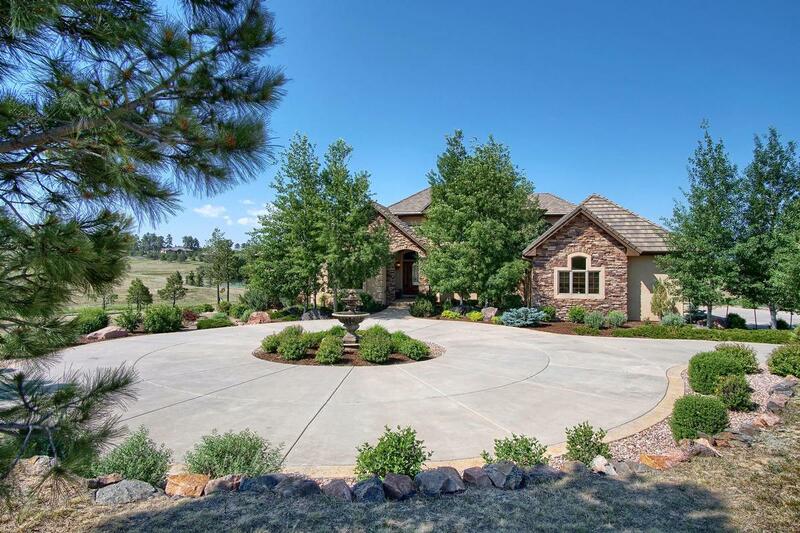 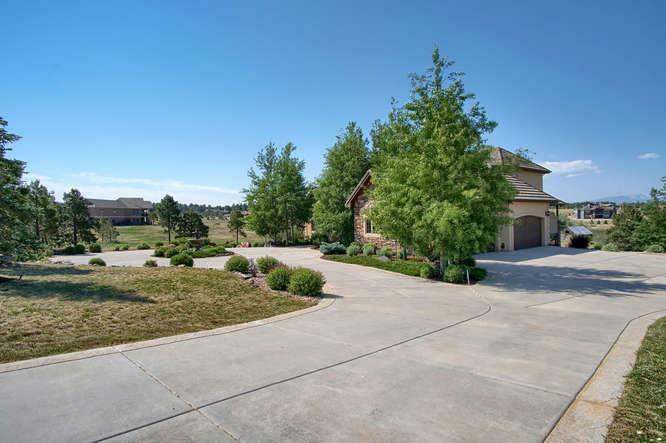 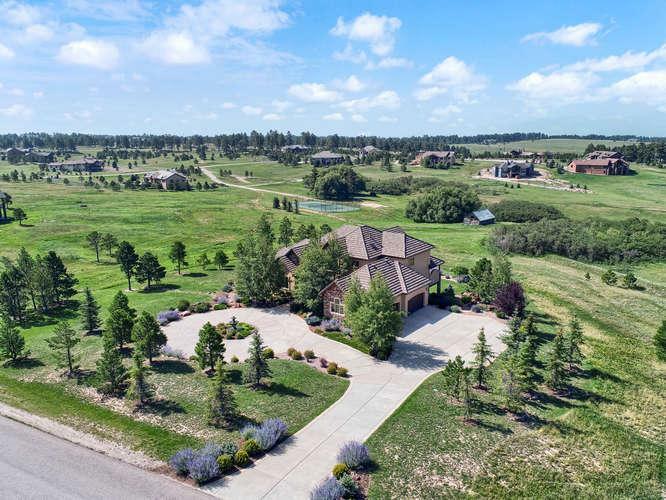 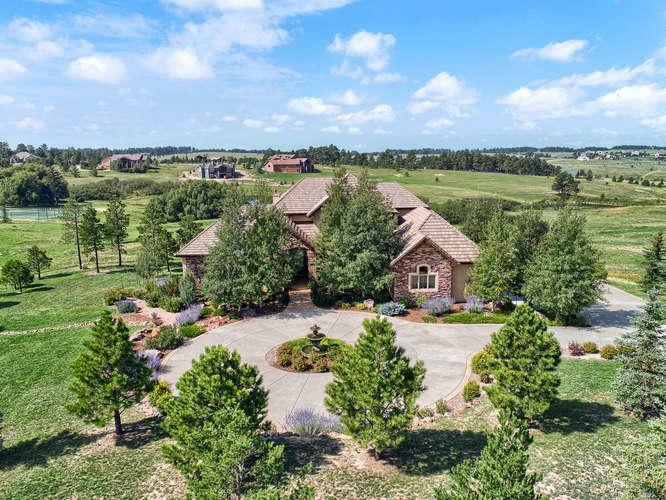 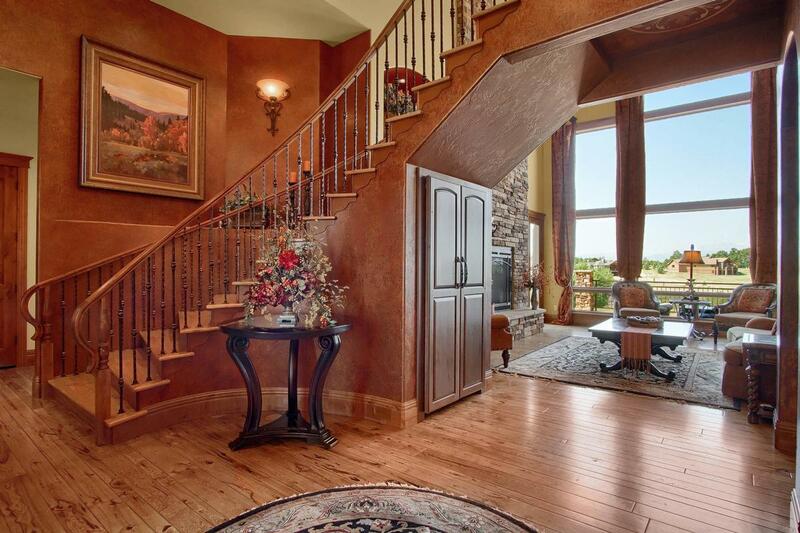 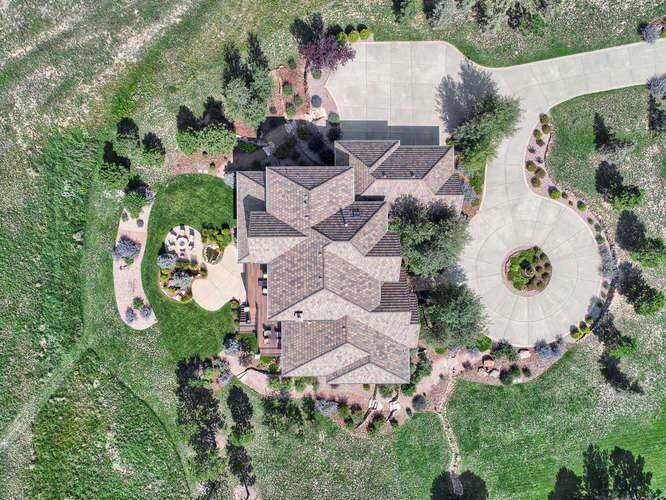 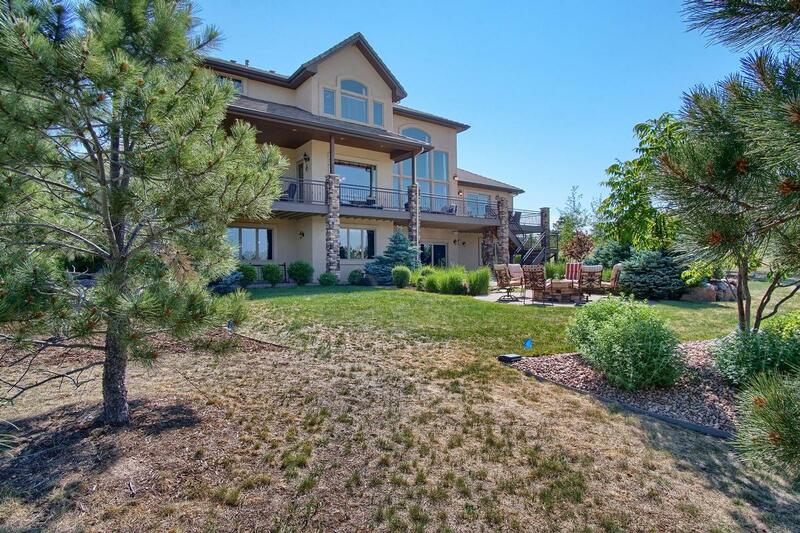 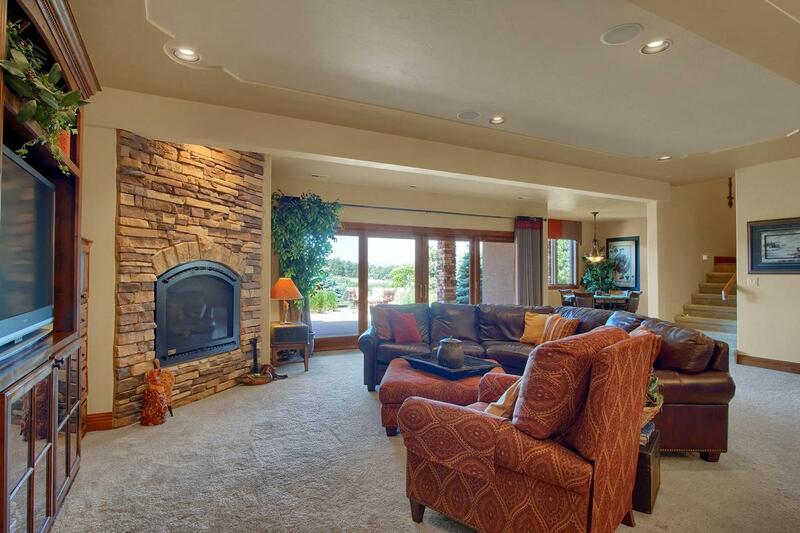 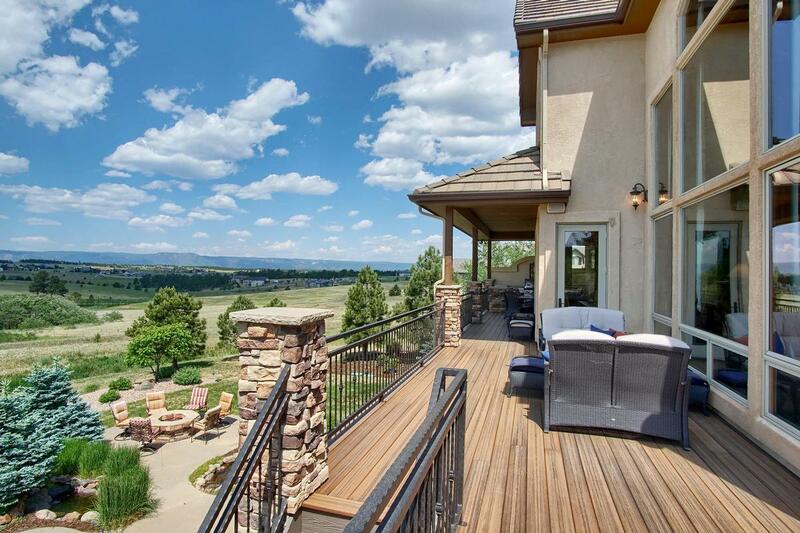 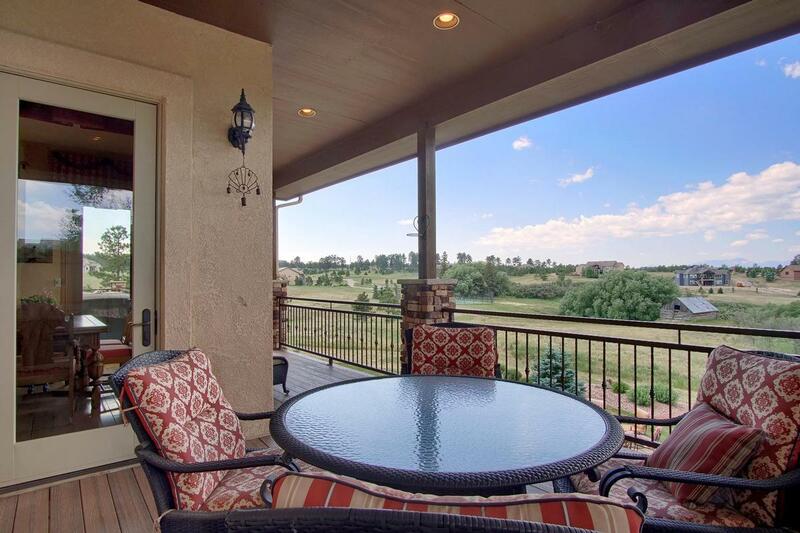 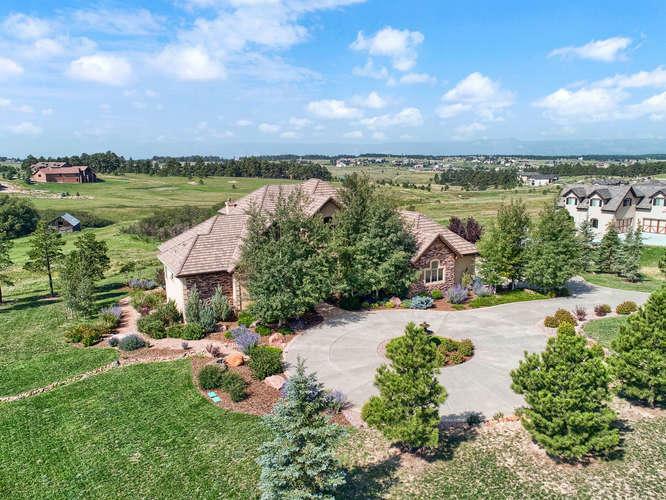 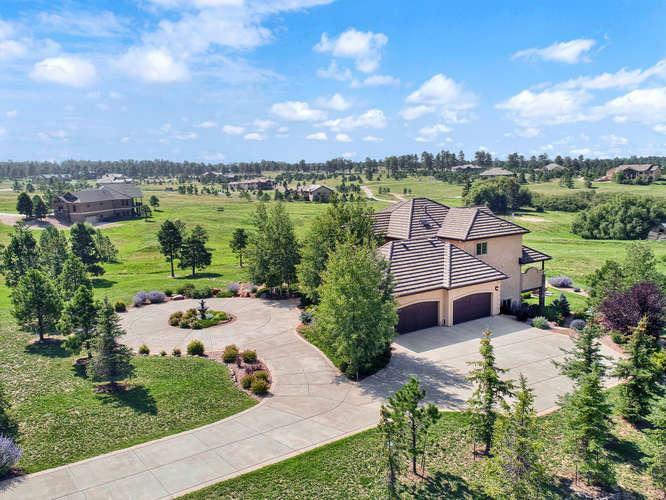 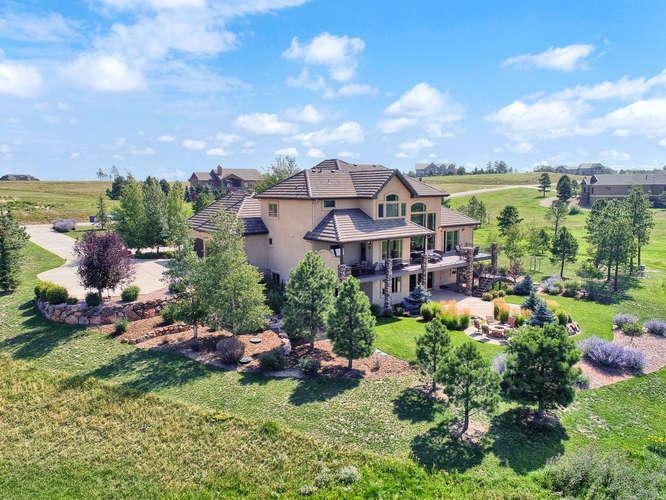 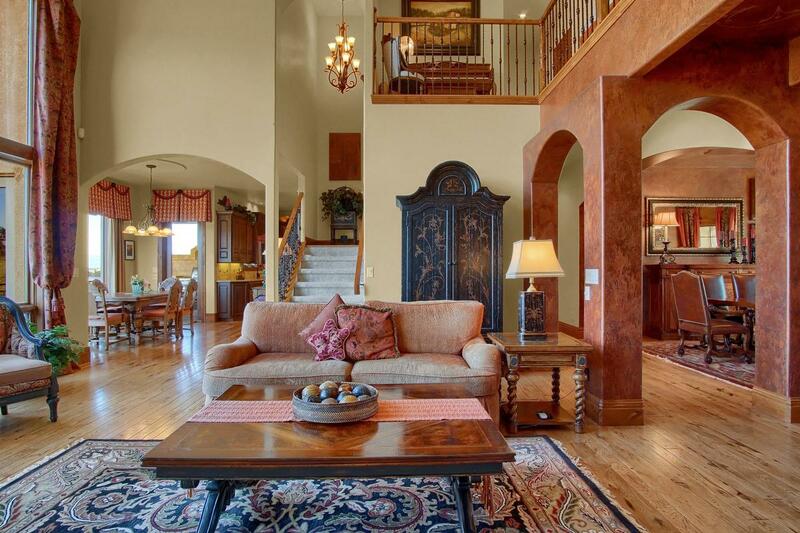 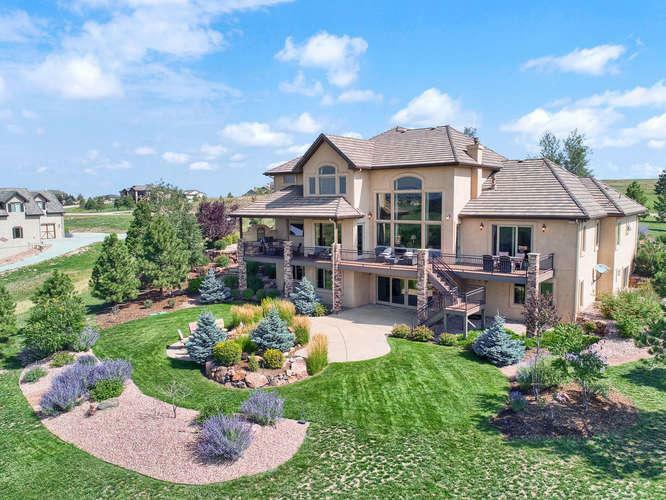 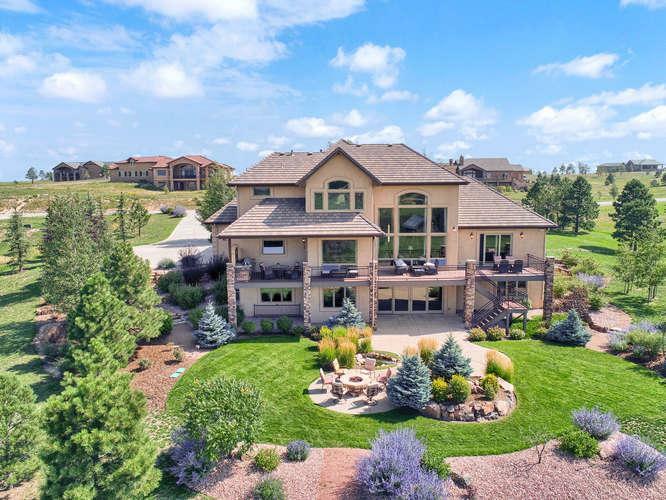 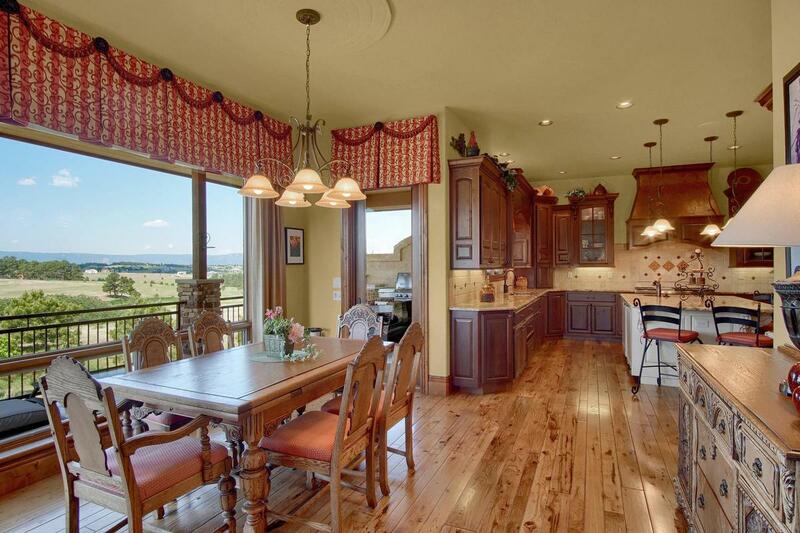 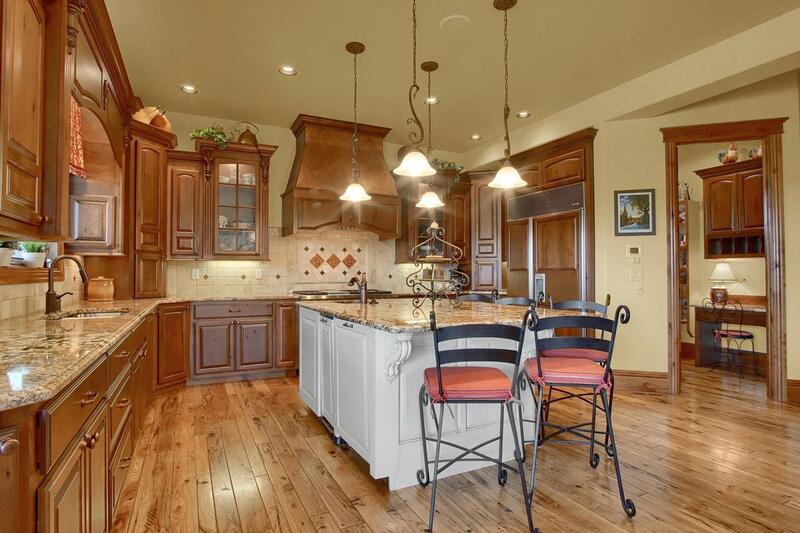 Incredible setting with massive Pikes Peak and front range views. 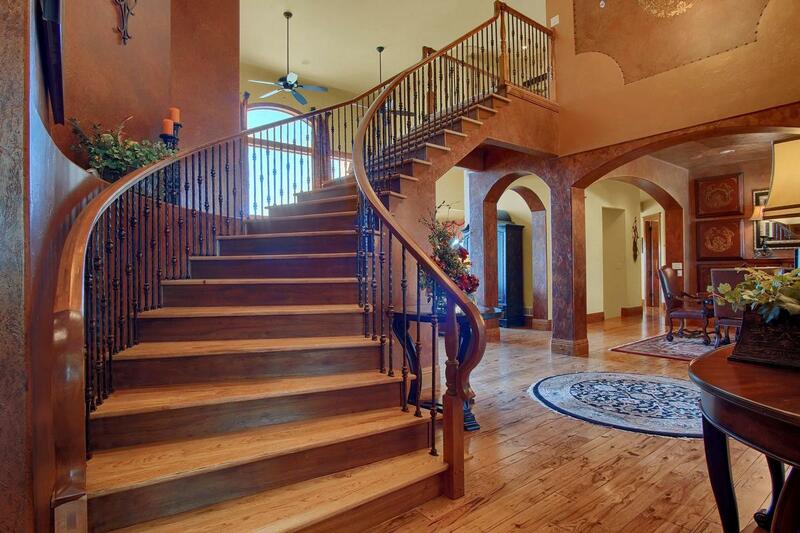 Impressive interior design will captivate you upon entry. 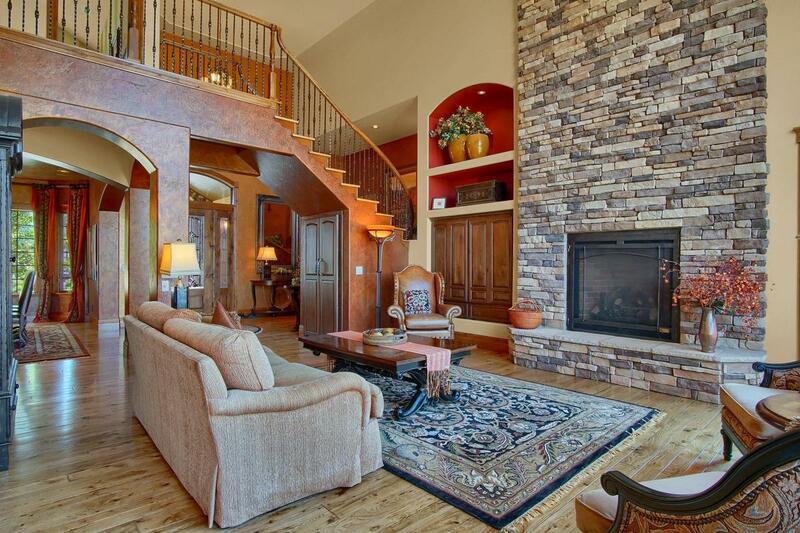 Large great room with stunning stone accenting. 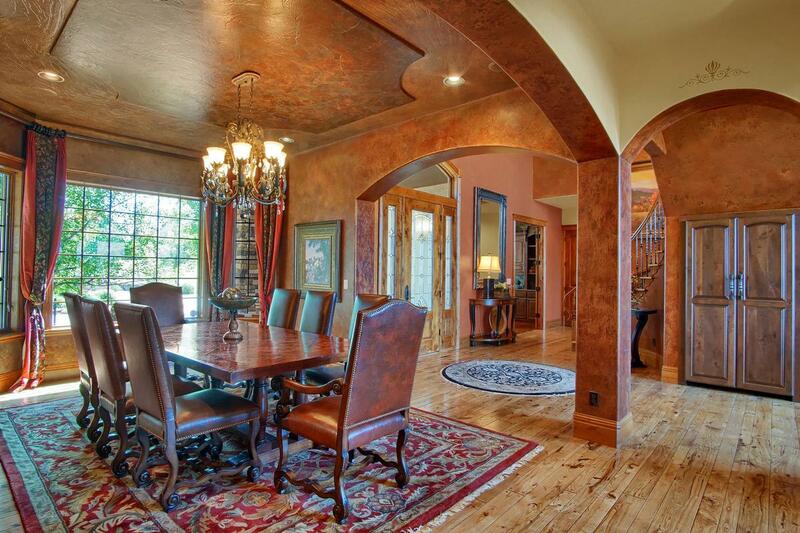 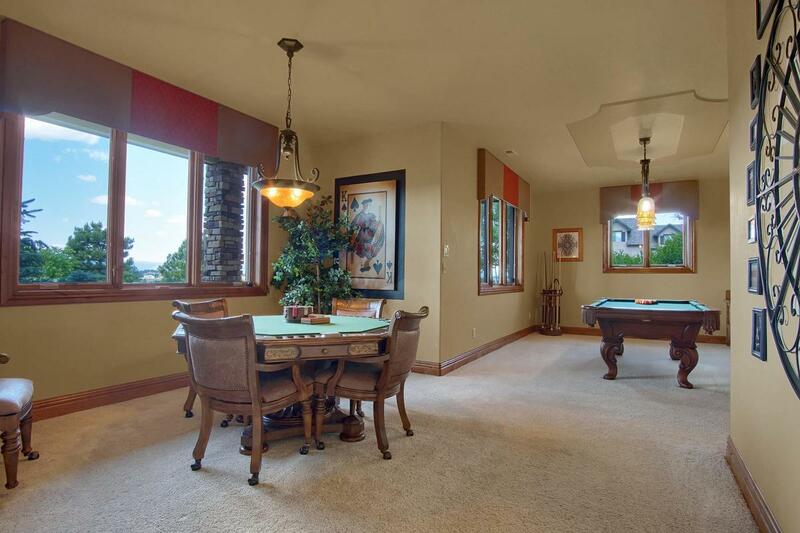 Huge bayed dining room great for entertaining. 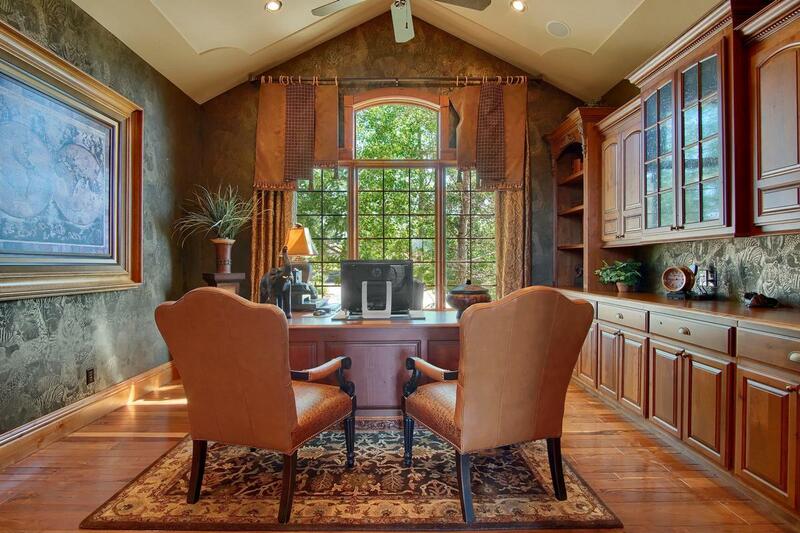 Main level study with black walnut flooring elegance. 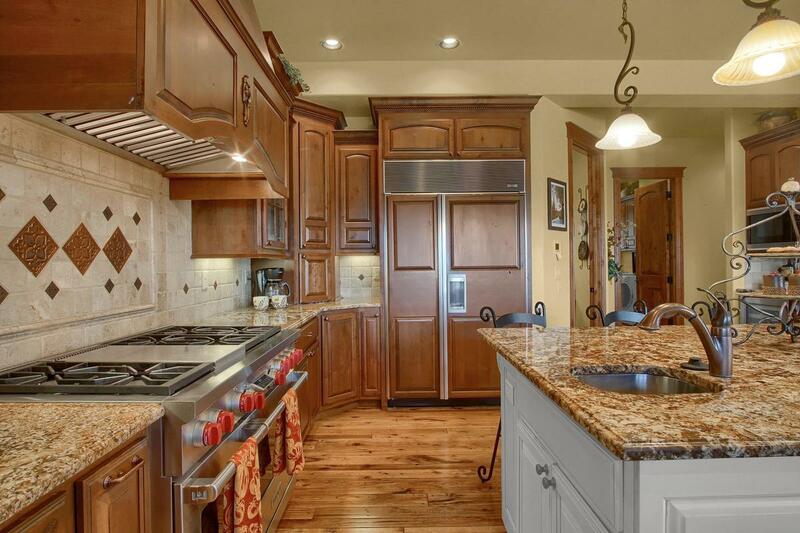 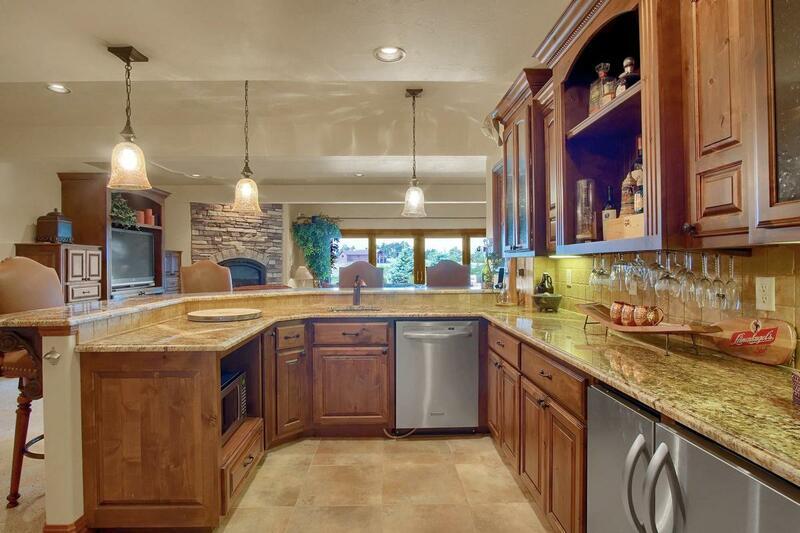 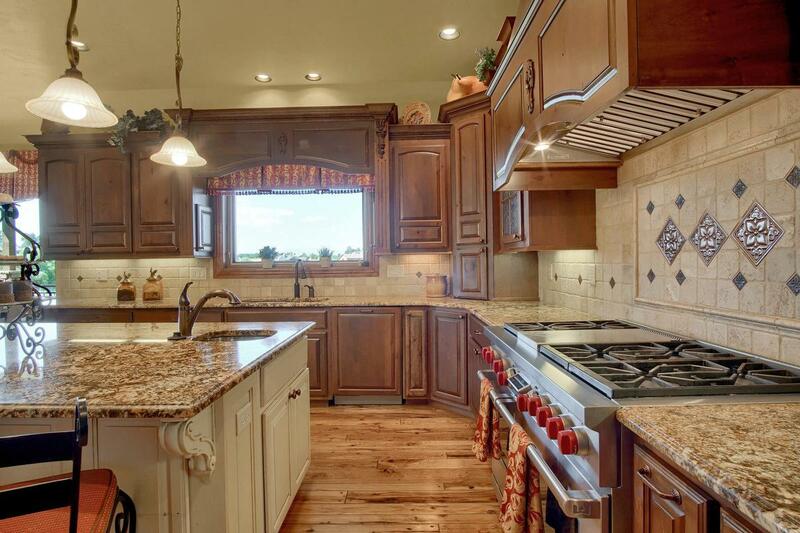 Kitchen is a cook's dream featuring Wolf Stainless Steel appliances, slab granite island, Sub-Zero fridge. 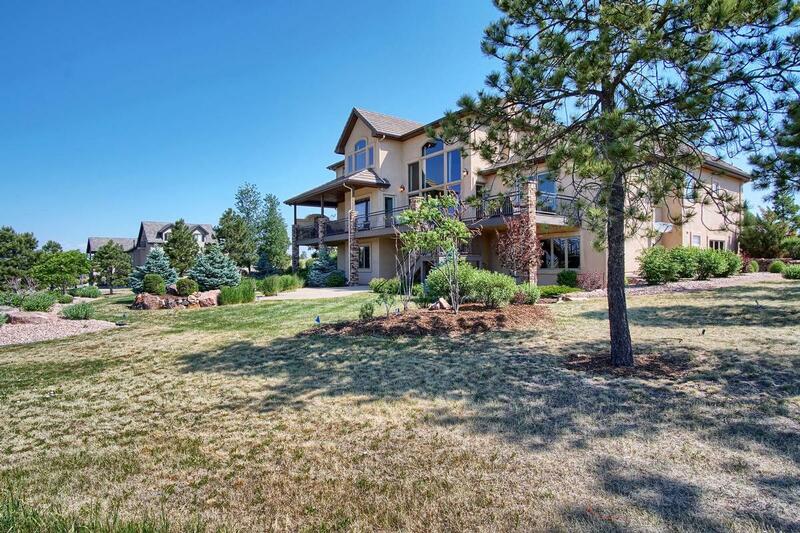 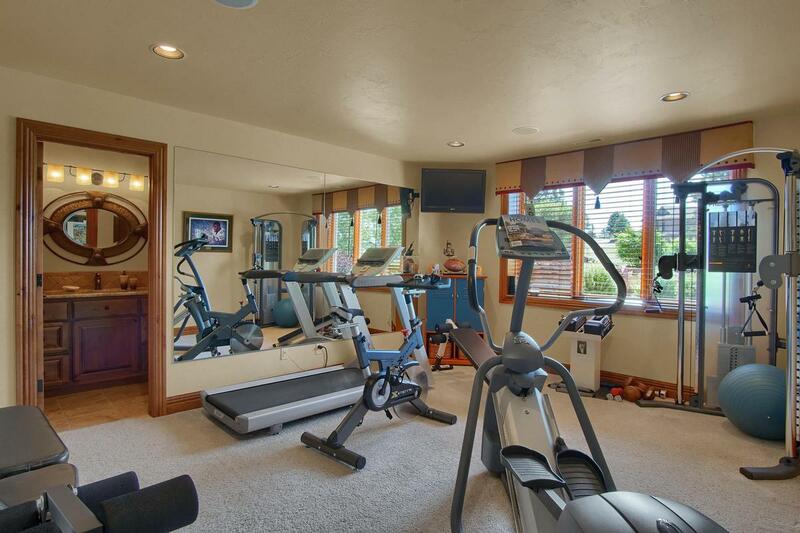 Gorgeous main level master walks out to decking, has luxurious five piece bathroom and huge walk-in closet. 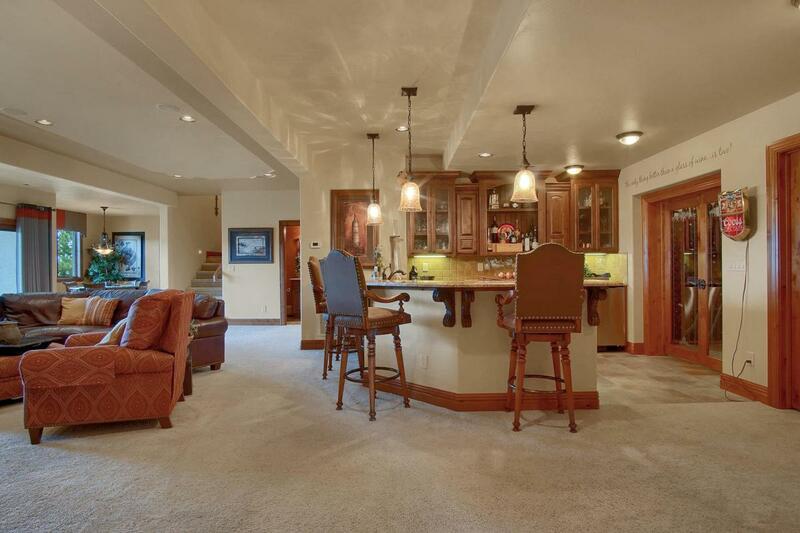 Finished walk-out basement a plus. 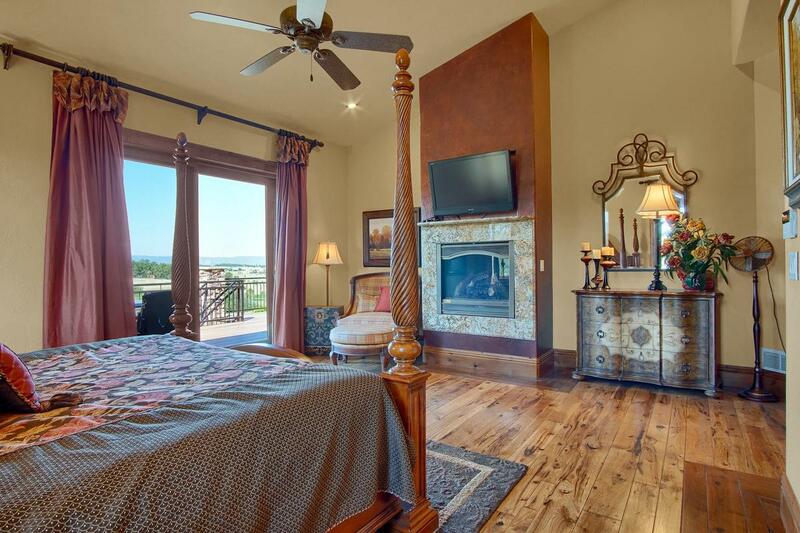 Featuring a large recreation area with third fireplace, incredible step behind wet bar including a dishwasher, refrigerator and microwave. 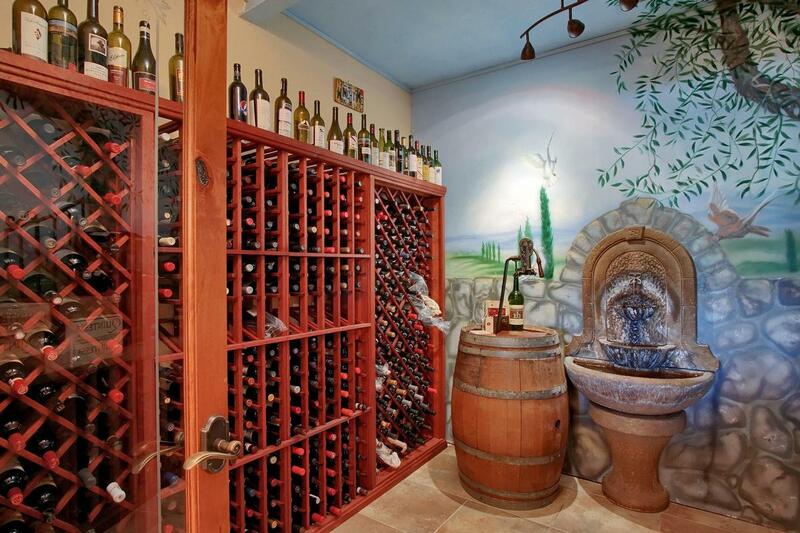 Custom wine room / cellar for your collection with granite tops and custom cabinets. 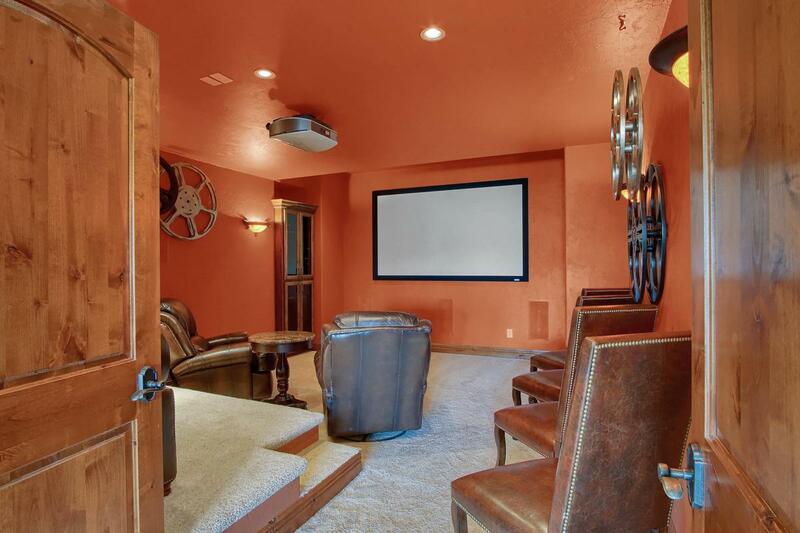 Private Theater / Media room includes the screen and projector. 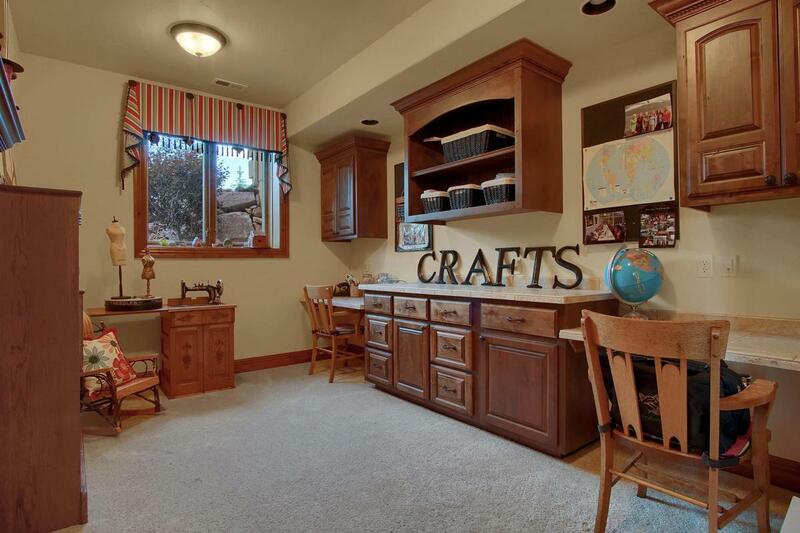 Craft-room is a great space for your creative side. 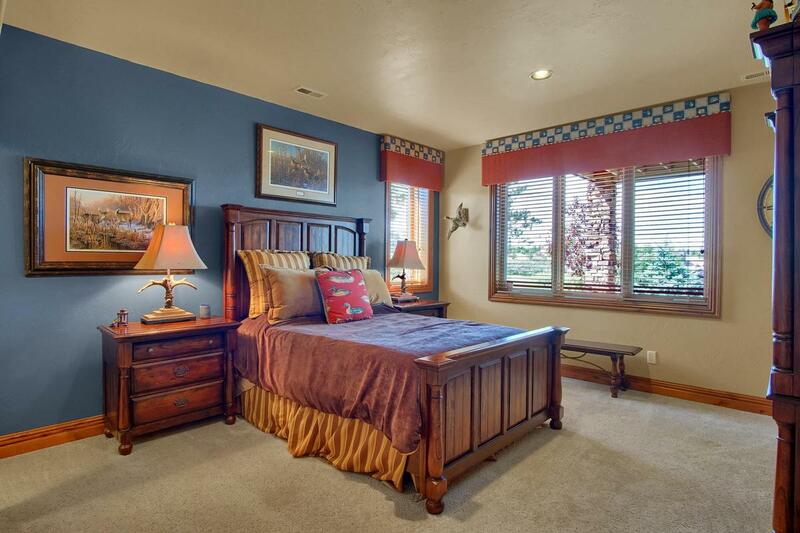 Fifth bedroom on lower level with dedicated bathroom and steam shower. 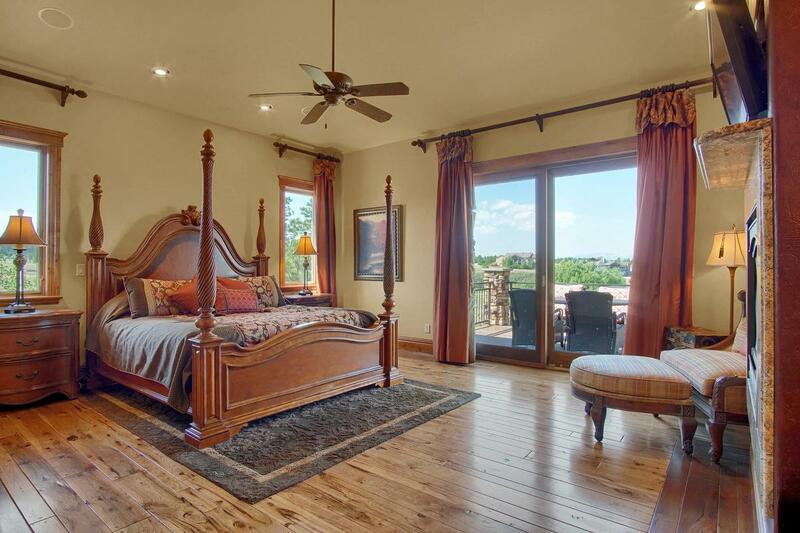 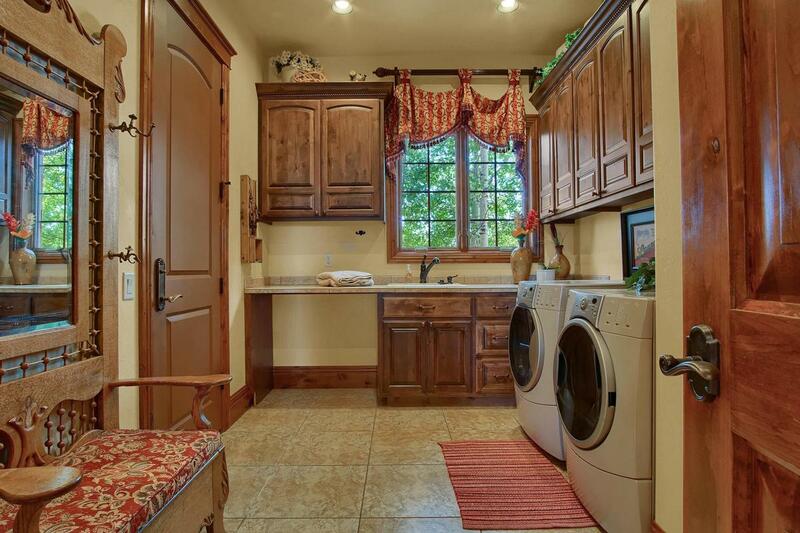 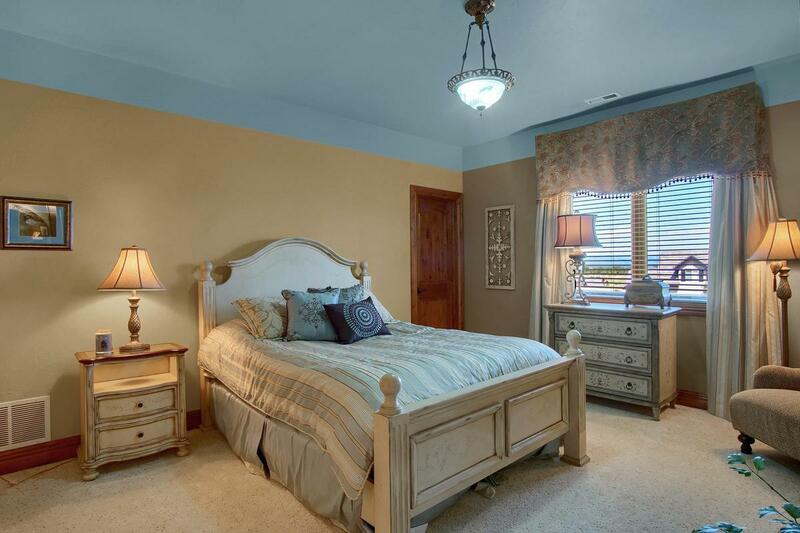 Sixth bedroom has generous walk-in closet with beautiful views of Pikes Peak. 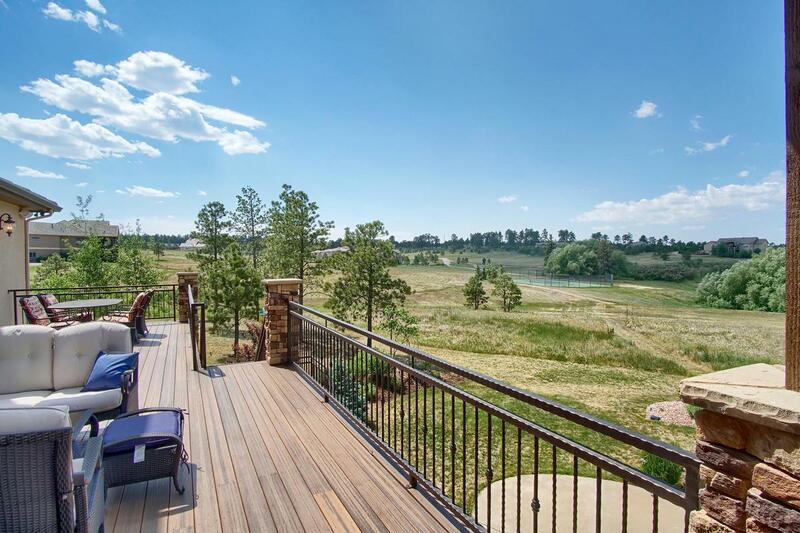 Full composite decking across the entire back of the home with custom grilling area. 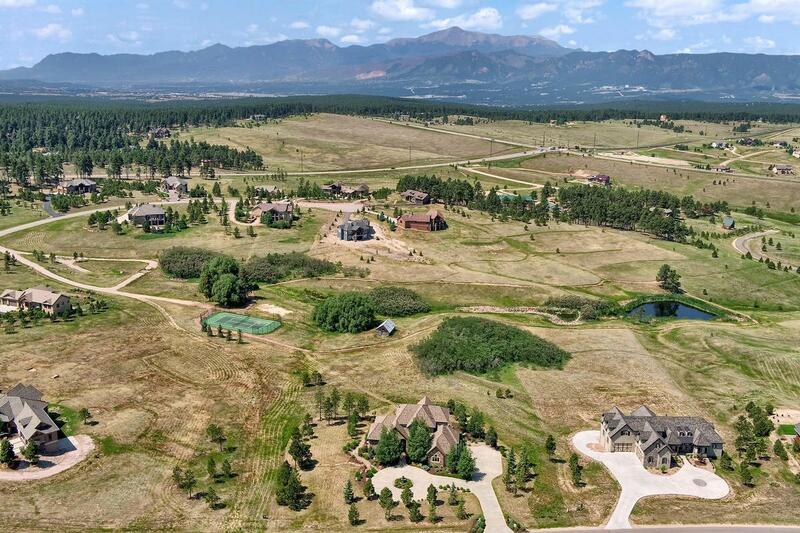 Serene comfort overlooking the rustic landscape, pond, scenic homestead barn, tennis court, walking trails and YES... Pikes Peak. 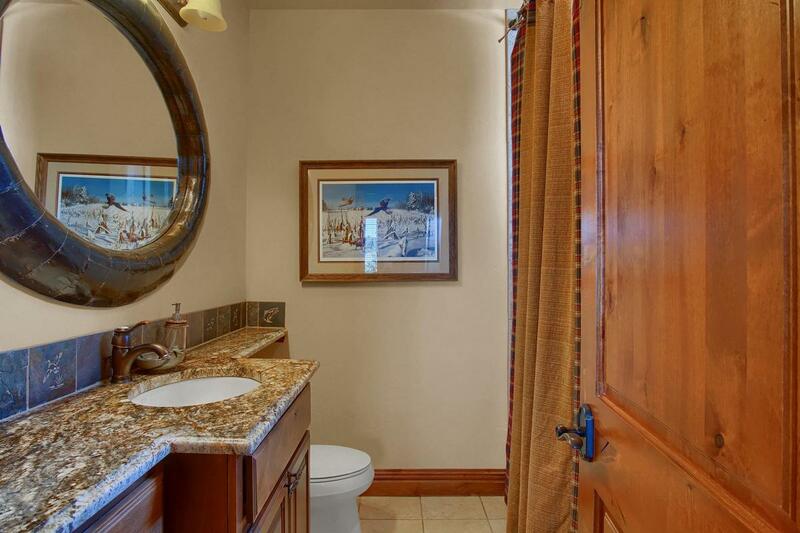 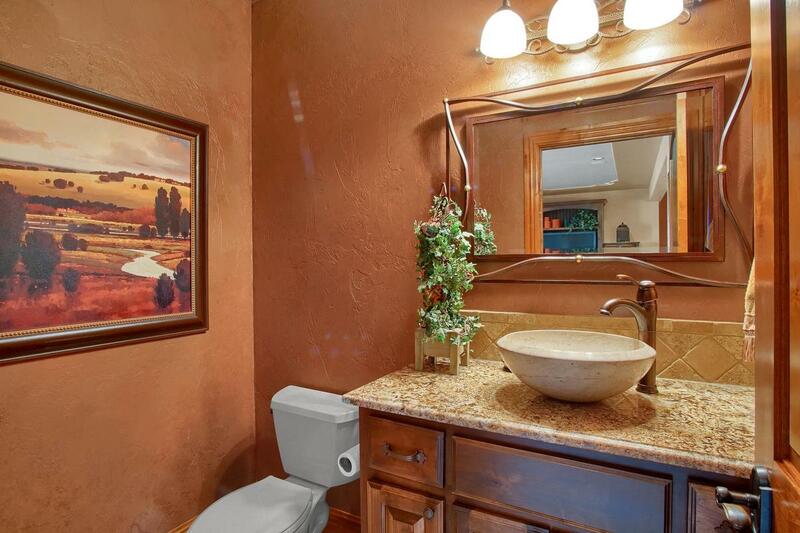 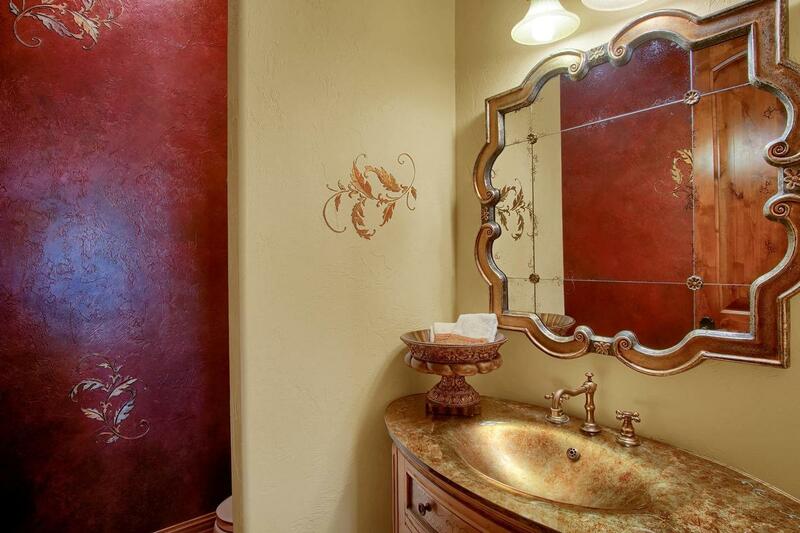 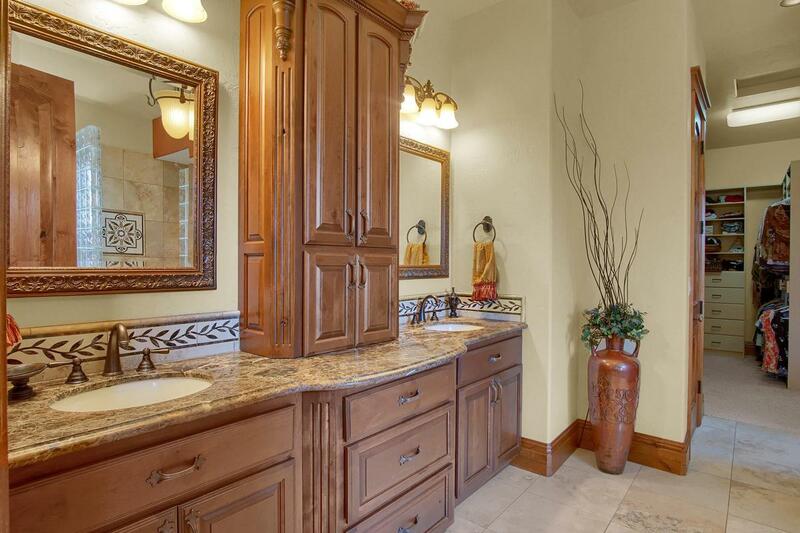 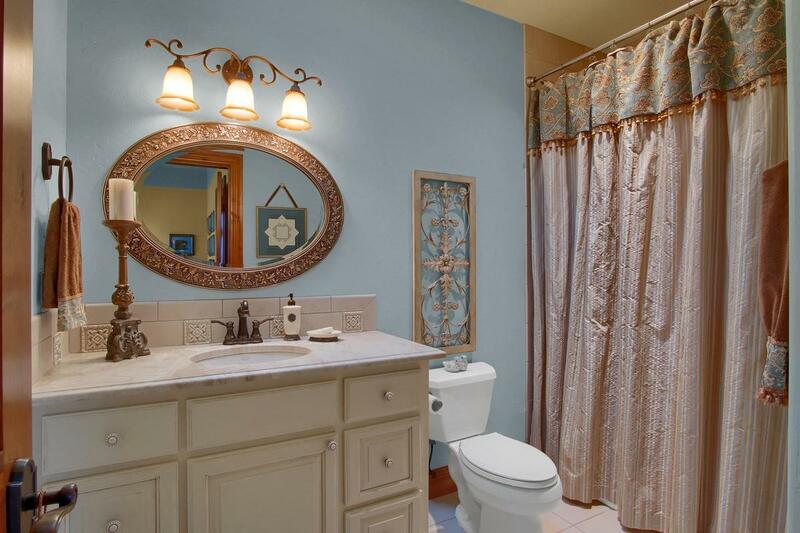 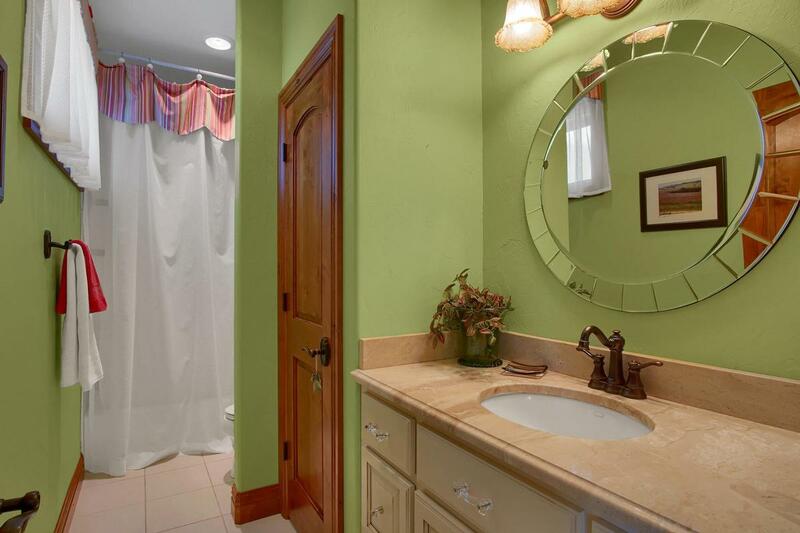 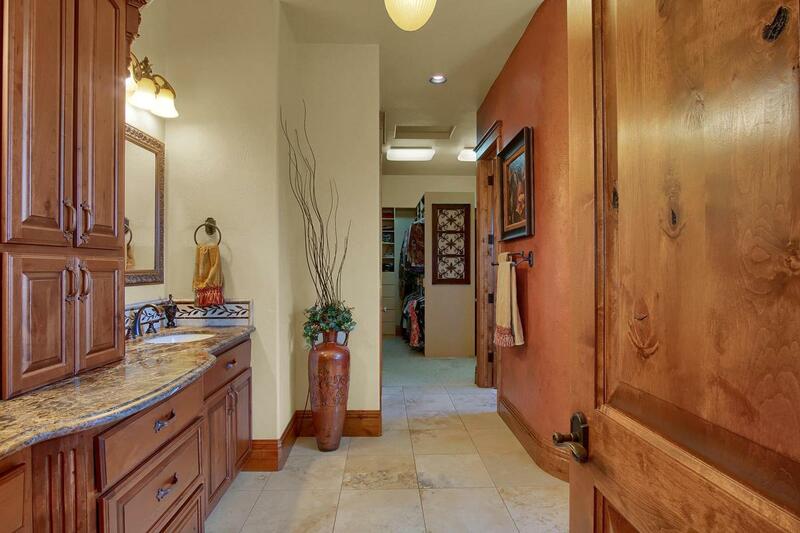 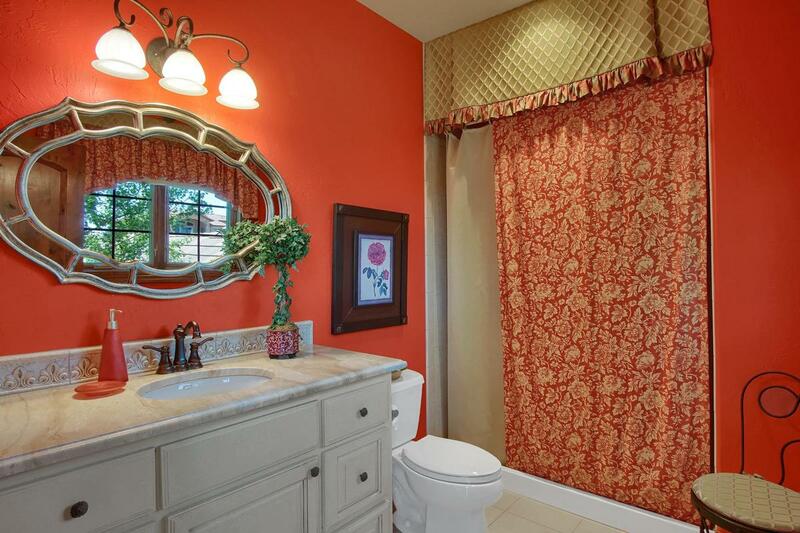 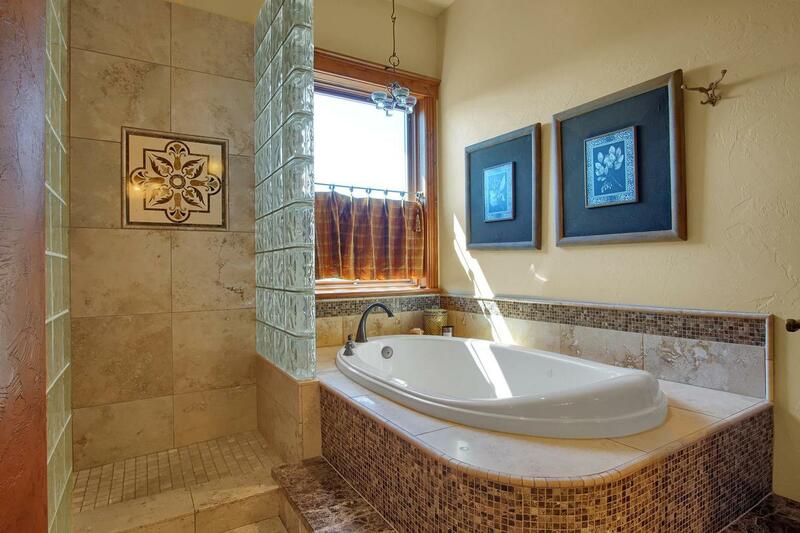 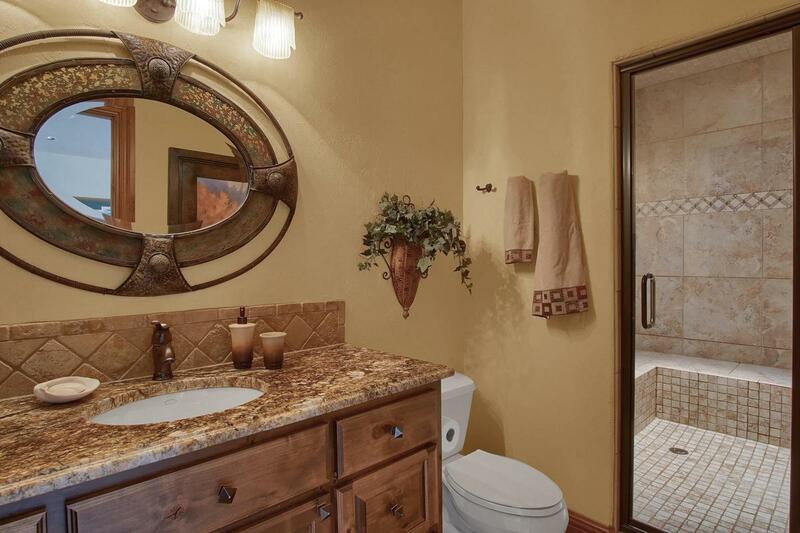 All bedrooms have on-suite bathrooms. 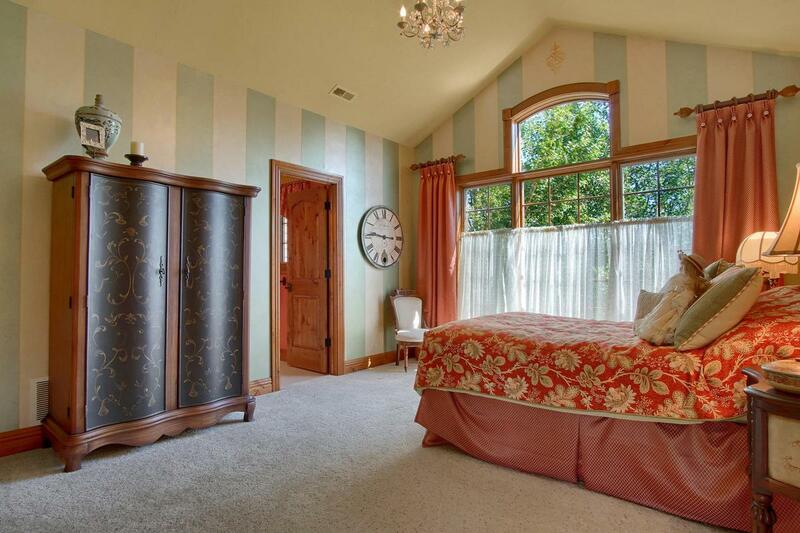 Central Air a bonus. 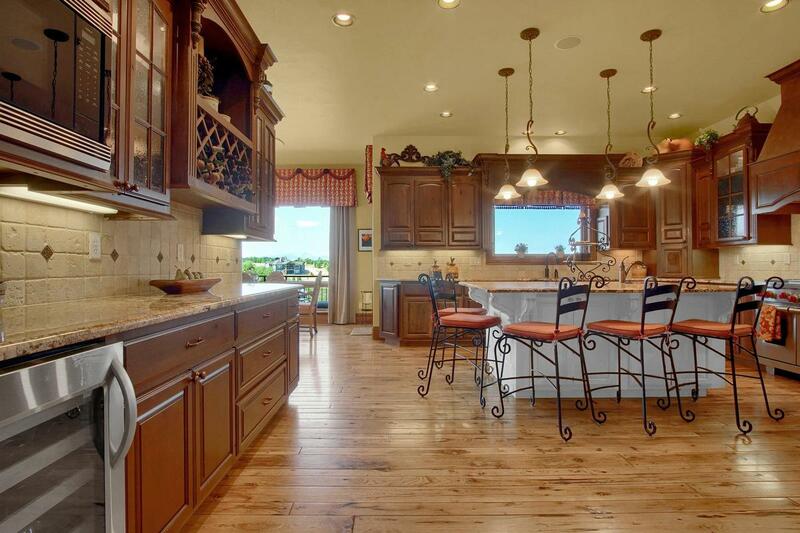 Extensive hardwood flooring throughout. 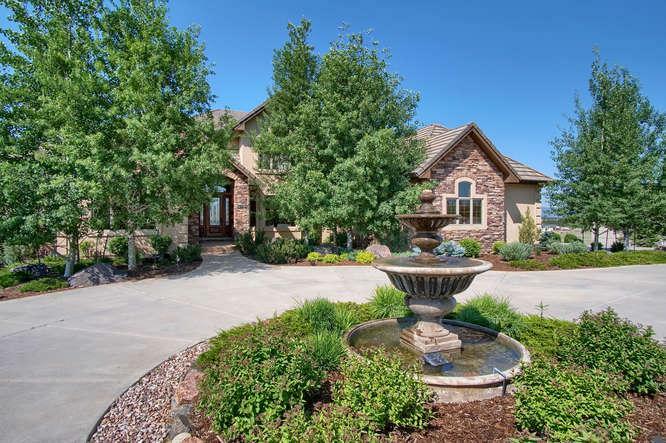 Impressive circular drive emphasizes the center fountain, the stucco/stone exterior and tile roof highlight the curb appeal. 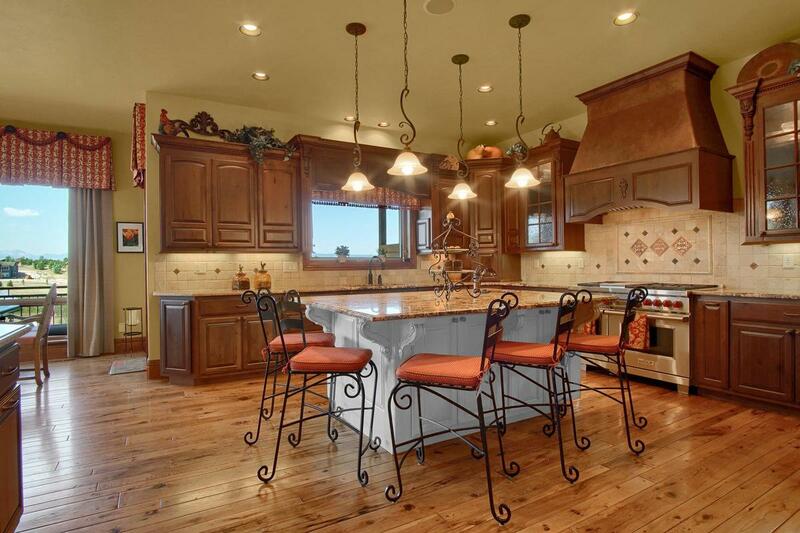 Recessed lighting, notable ceiling details and custom touches make this the perfect place to call home. 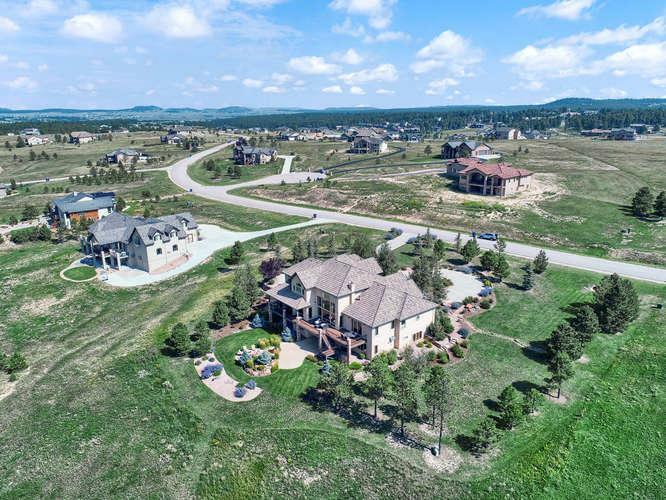 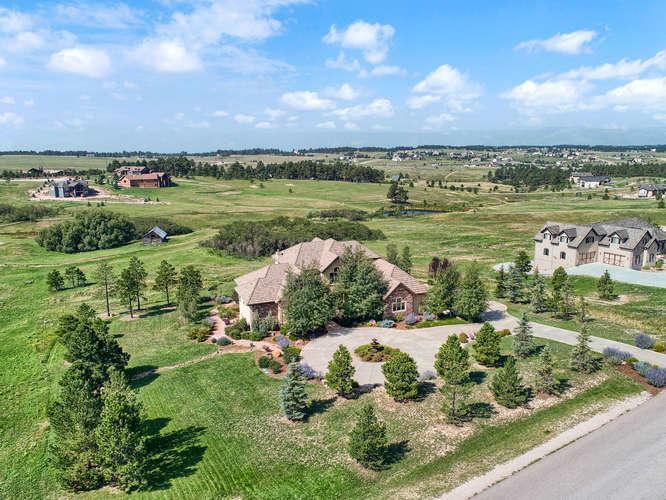 Convenient to I-25, Castle Rock, Denver and Colorado Springs this home promotes your success from the moment you drive up. Incredible development, walk to tennis court and fish in adjacent pond. 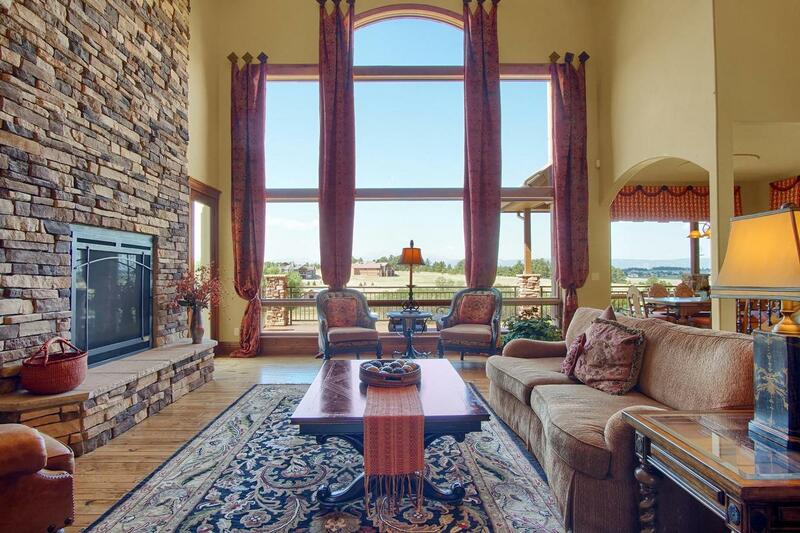 Location and views combined are majestic and rare, furnishings available for purchase.